Use our app and transform your tablet into a powerful improvement instrument. Control when your tablets with FeelBack App should go into sleep mode, taking full advantage of energy savings when your place is closed. 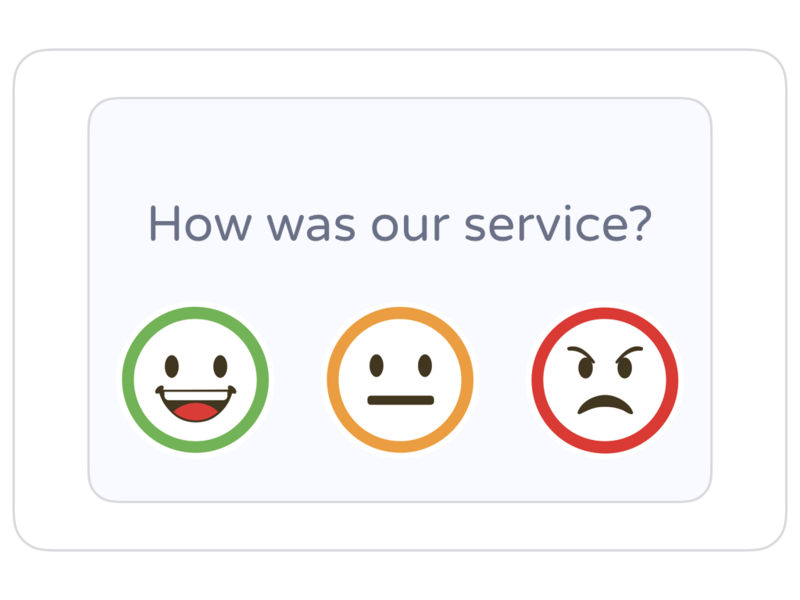 If a Normal or Bad face is clicked, you may ask the user to better clarify their feelings with a limit of three options, making your insights more powerful without compromising user behavior. Control what question is prompted to the customer or employee, change it at any time and analyze the data in real time. Our app can detect if a child is playing with the faces and block the tablet for unwanted statistics. Just download it in your tablet and sign in with your feelback account.